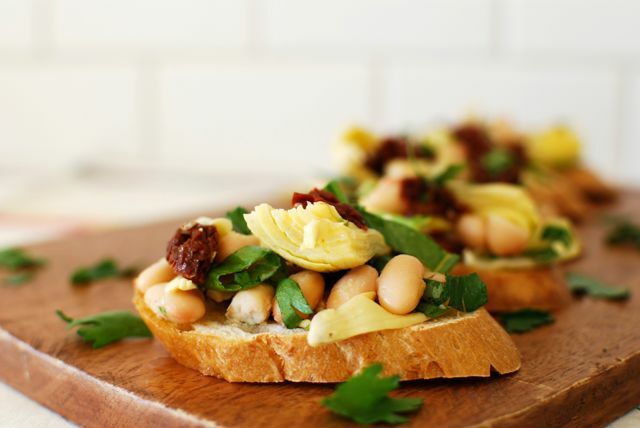 This snack is perfect during Halloween party season, but it’s truly a hit anytime. 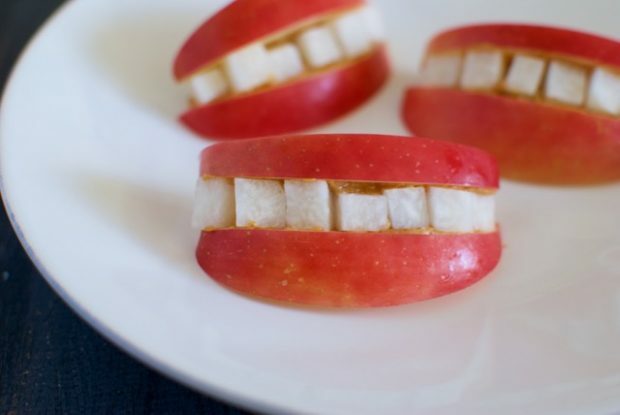 And it’s a great opportunity to involve the kids in the kitchen, since it’s easy and kids love making these apple smiles. 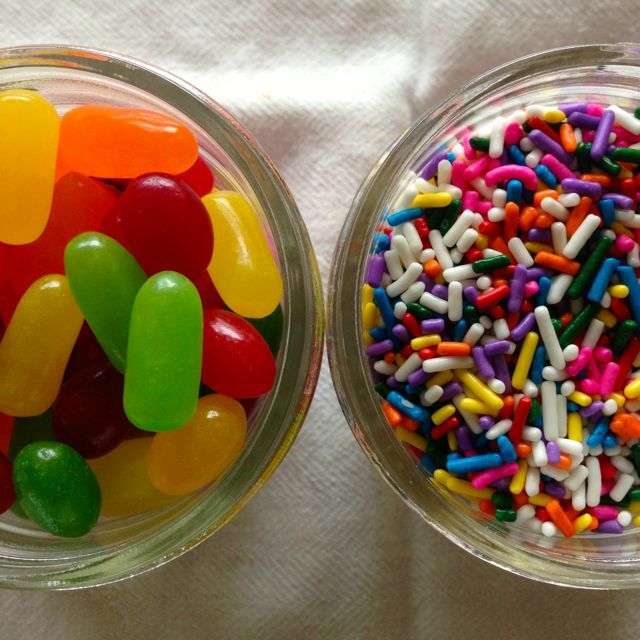 Last year I spotted this awesome Halloween snack idea on Pinterest, and it has since become one of Lucy’s all-time favorite snacks – whether it’s near Halloween or not. 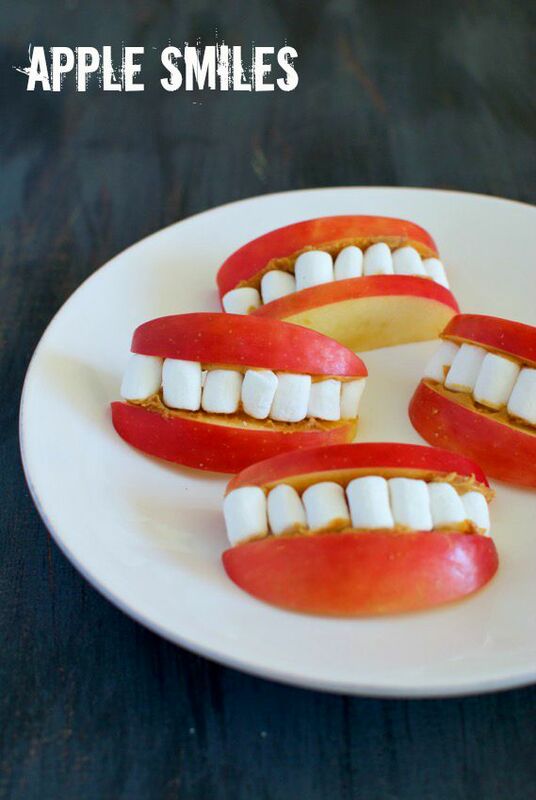 In fact, we began making these Apple Smiles so often that I felt it was worth coming up with a healthier alternative too (since I can’t exactly condone frequent marshmallow-eating). 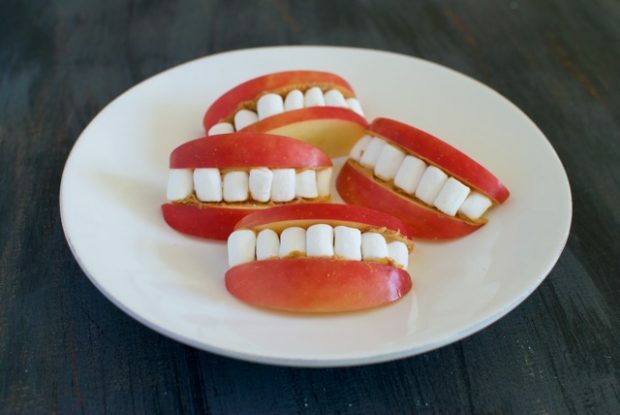 So when Lucy lets me, I make Apple Smiles with jicama “teeth” in place of mini marshmallow teeth — the original version. 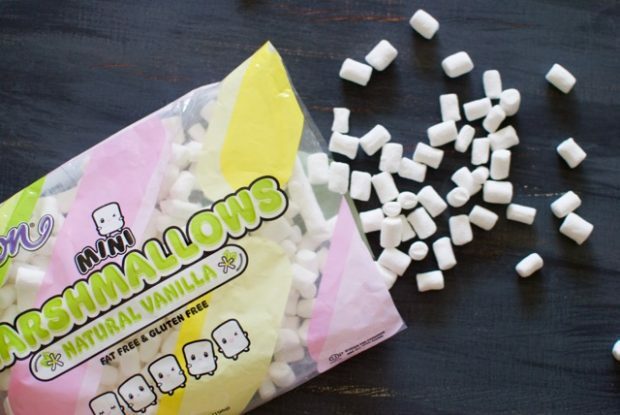 If you want to use the marshmallows, I recommend looking for a more natural brand. I found these at Whole Foods, and like them because they don’t have corn syrup, artificial flavors or artificial colors. 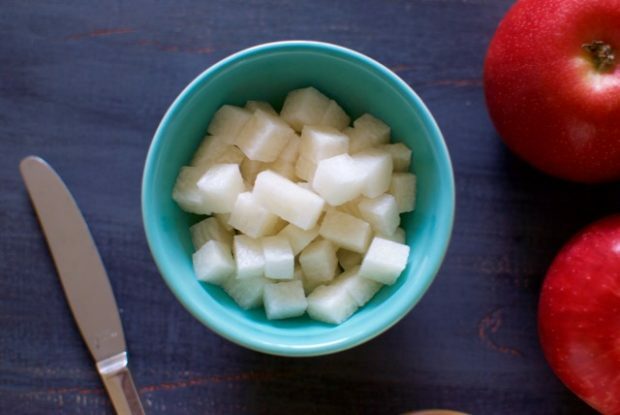 If you want to use jicama, simply peel a jicama and cut the meat into tiny squares – the more teeth-like, the better. Cut the apples into thin wedges that resemble lips (pay attention to the angle as you cut). 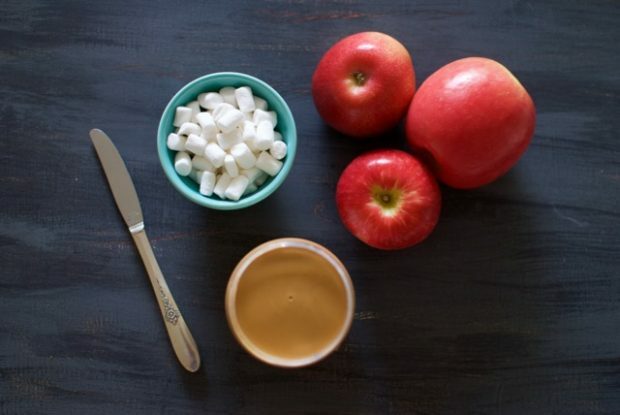 Spread a little peanut butter -or any nut or seed butter – on each apple wedge then form the “mouth” by placing two wedges together with marshmallows or jicama pieces in between. 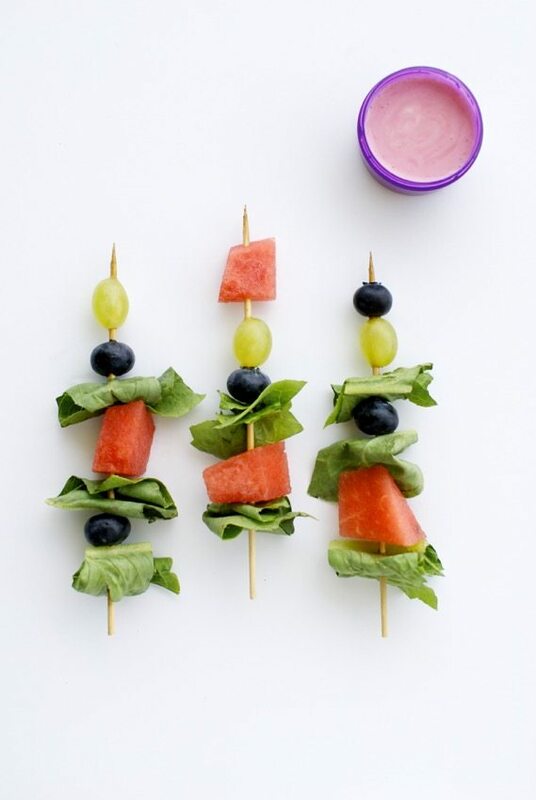 Note: I haven’t been able to locate the original source for this snack idea, but I learned about it from Three Little Kittens – who by the way offers tons of other great fall-inspired snack ideas in this post. Hi Amelia! 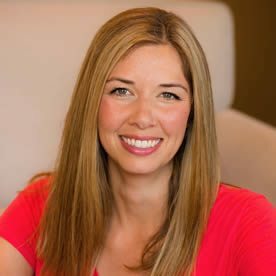 Thanks so much for the mention in your post. 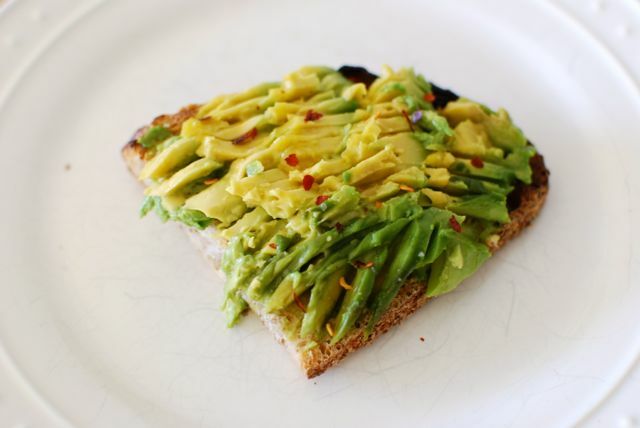 I like what you have done to make this healthier, too! Thanks again! How cute! I need to try these out at a kid’s cooking class I teach, they’d love these! I make these and use sliced almonds for the teeth and they come out cute and healthy as well. 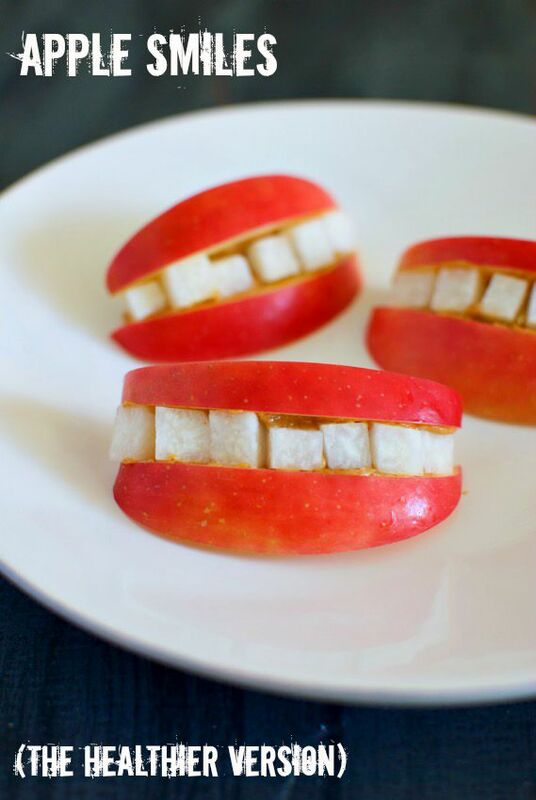 Now you have me thinking of doing some with cut pears for teeth, too. Thank you! Sliced almonds are a great idea! Almonds + almond butter would be delicious!